Carol Louise Redman, 71, of Hannibal, MO passed away at 1:20 p.m. Monday, May 7, 2018, at Boone Hospital Center in Columbia, MO. A Memorial Service will be held 7:00 p.m. Thursday, May 10, 2018, at Riverview Nazarene Church. Pastor Bill Haffner will officiate. Visitation will be 6:00 p.m. until the time of the service Thursday at the church. The family is being served by the Smith Funeral Home & Chapel. She was united in marriage to Richard Lee Redman on August 20, 1965, in Hannibal, MO. He preceded her in death on November 22, 2014. Survivors include a son, Craig Redman (Jennie Hill); daughter, Melissa Redman all of Hannibal, MO; and several nieces, nephews and cousins. In addition to her parents and husband, Mrs. Redman was preceded in death by one sister, Carla Hess and an infant brother. Carol graduated from Hannibal High School in 1964. She worked as a supervisor in Environmental Services at Levering Hospital in Hannibal. Mrs. Redman enjoyed gardening, flowers, her cats and gospel music. One of Carol's favorite talents was baking and cooking for her family and friends. She was known for her delicious pies, breads and cinnamon rolls. When time allowed, Carol loved to spend the day on the lake with her husband Richard, out fishing him. 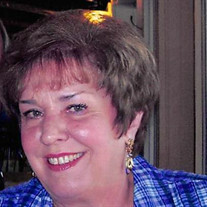 Carol loved her family and cherished the time they spent together and all the memories they made. Memorial contributions may be made to the Norm Stewart Cancer Center or Missouri Cancer Associates, in care of the Smith Funeral Home & Chapel.